Nodame Cantabille – White Eyes^^. Just watched the Nodame Cantabille Special Lesson a few days ago and I just remembered how fun it was when I watched Nodame Cantabille series^^. Nodame Cantabille Special Lesson, although not as good as the series, Maybe because the story was short, only 2 episodes. 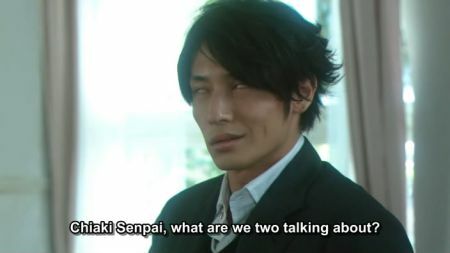 It is still one of the best Dorama I have ever watched, it’s very funny, stupid and yet in someway, elegant:-). I can’t stop watching it and I even repeat it all the time, because I love the funny scenes. Especially the white eyes scene. These below are the part where I like to watch over and over and laugh about^^. Be sure to pay attention to it when you watch this wonderful dorama. It’s from the first scene of the 1st special episode. At the graduation party, everybody share their happiness by throwing Chiaki up in the air and for some reason. Chiaki gone into his white eyes. this one is from the scene where Franck is talking to Nodame and They didn’t even what are they talking about, because Nodame speaks Japanese and Franck just speaks plain French. It made Chiaki gone into his white eyes. This is from after the conductor contest, where they meet Chiaki’s rival Jean and his girlfriend. This is from the 2nd night of Nodame Cantabille Special where Chiaki is in a tour with Milch/Stresseman. They meet by accident. Nodame quickly falls in love, but it takes much longer for Chiaki to even begin to appreciate Nodame’s unusual qualities. Their relationship causes them both to develop and grow. 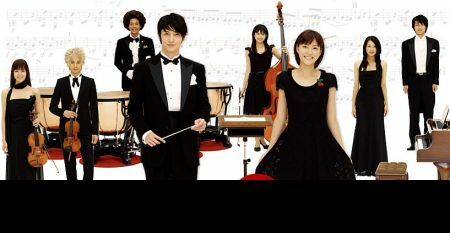 Because of Nodame, Chiaki got the opportunity to lead a student orchestra and begins to have a broader appreciation of people’s musical abilities. Because of Chiaki, Nodame faces her fears and enters a piano competition. Opportunities open up as both begin taking risks, stretching themselves far more than they ever thought possible.